The most common accidents in Ireland are falls 45%, being struck or hit by an object 35%, a strain 6% or a cut 4%. Most accidents occur in or around the home, or in a sports area. Many of the accidents that happen in and around the home can be avoided. By identifying and understanding potential accident risks in the home, you can take some basic safety steps that will keep your children safe and give you peace of mind. Children aged between 0 and 4 years of age are most likely to have an accident in the home, and boys are more at risk than girls. Falls are by far the most common type of accident in the home. They account for 44% of all children’s accidents. For babies, the biggest danger is rolling off the edge of something such as a table, bed or sofa. Toddlers learn quickly how to climb and explore and it is very easy for a child to fall off a piece of furniture, down the stairs or out of a window or balcony. Make sure your baby cannot roll off the changing surface. . Fit restrictors to upstairs windows so they cannot be opened more than 10cm. Do not put chairs or anything a child might climb onto near windows. Do not leave anything on the stairs that might cause someone to fall over. Make sure there is no room for a child to crawl through any banisters at the top of the stairs, board them up if there is a risk of your child falling through them or getting stuck. If you have a private balcony, keep the door to it locked so your child cannot go onto it alone. If it has railings that your child could climb through, board them up or fit wire netting as a guard. Do not put anything a child can climb onto near balcony railings. Any furniture and kitchen appliances that could be pulled over should be secured to the wall. Babies and young children can easily swallow, inhale (breathe in) or choke on small items such as marbles, buttons, peanuts and small toys. Choose toys that are designed for the age of your baby or child. Encourage older children to keep their toys away from your baby. Beware of clothing with cords or ribbons threaded through the neck and dummies on cords as they can easily get caught and pull tightly on the neck. Be careful with plastic bags as young children can put these over their heads and suffocate. Keep animals, especially cats, out of your bedrooms in case they jump into cots and beds. If they fall asleep in the wrong place they could suffocate your child. Use a net over prams if necessary. Domestic fires are one of the greatest risks to children. Children playing with matches and lighters frequently start house fires. The youngest children often hide from the danger and may not be found until it is too late. Always use a fireguard on an open fireplace and make sure it is attached to the wall. Do not lean or hang anything from it. Fit smoke alarms on each floor of your home (preferably alarms that are connected to the mains or that have 10-year batteries), and make sure that you test them regularly. Keep matches and lighters out of children’s reach. Extinguish and dispose of cigarettes carefully. 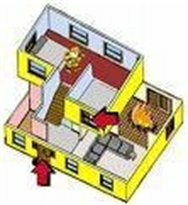 Have an escape plan worked out for your family and tell your child what to do in case of a fire. Practise the plan regularly. Hot drinks cause most of the scalds to children under the age of five. A child’s skin is much more sensitive than an adult’s and hot water can scald for up to 15 minutes after it has boiled. Hot bath water is the biggest cause of severe and fatal scalding injuries in young children. Children can also get burns from open fires, cookers, irons, hair straighteners and tongs, cigarettes, matches, lighters and other hot surfaces. Switch off heated appliances, such as irons, hair straighteners and curling tongs, immediately after use and place out of your child’s reach. Keep the cord safely out of reach as well. Always place hot drinks out of children’s reach. Keep them away from the edges of tables and surfaces, and don’t use table cloths that children can pull at. Do not drink anything hot with a child on your lap. Use a cordless kettle or one with a coiled lead that can be kept short. Use the back rings on the cooker, whenever possible, and turn saucepan handles away from the edge. As much as possible, keep young children out of the kitchen. 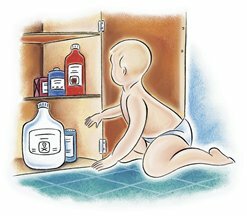 Before bathing your baby or child, check that the water is not too hot. A good test is to put your elbow in first. When filling the bath, run the cold water first before adding hot water. As your child gets older, teach them to test the water first too. 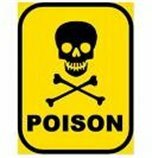 Most poisoning accidents involve medicines, household products and cosmetics. Over 28,000 children in the UK receive treatment for poisoning, or suspected poisoning, every year. Discourage your children from eating any plants or fungi when outside, some can be extremely poisonous and even fatal. Children can drown in just a few centimetres of water and should be supervised at all times when near any water. Never leave babies or children in the bath unsupervised, not even for a minute. Do not leave uncovered containers of liquid around the house. Store away paddling pools when they are not being used. Preferably, fill in garden ponds while children are small. If this is not possible, cover ponds with a rigid grille or securely fence them off. Be careful when your children visit other people’s gardens. If you would like to like to read about our range of First Aid Courses in Dublin please click here. We held our Open House coffee morning yesterday in support of the Toys for Tubs appeal. Due to the poor weather conditions we received a good few cancellations as many people were stranded in their own homes. However there was still a great turn out. Everybody enjoyed the morning and the opportunity to meet new people. The home made biscuits and scones also helped. We collected over 30 presents and € 120 in cash. All proceeds will be given to SVDP who will distribute the donations to families in Ireland who are in need of some help. Thanks again to everybody who turned up yesterday and their generousity. It will make a big difference for people hit hardest by the recession.